Spain meets Sacramento at Alaro Brewing Company. When Sacramento’s groundbreaking Rubicon Brewing Company closed its doors in 2017, it was clear that whoever took over the space would have big shoes to fill. Rubicon, founded in 1987, was a pioneer in the area’s beer scene and enjoyed legions of loyal customers. 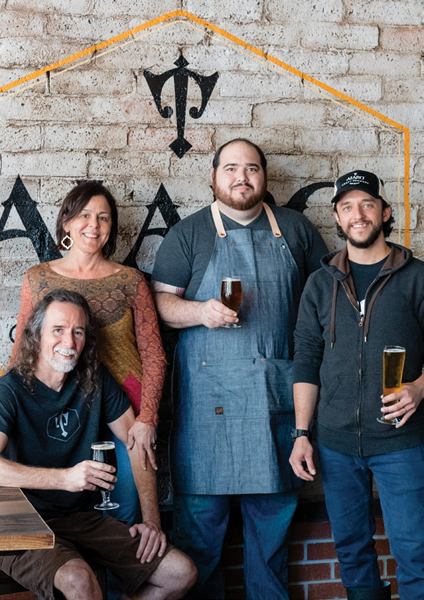 Ray, whose family hails from Spain, wanted to bring that country’s culinary traditions into the kitchen at Alaro Brewing Company. 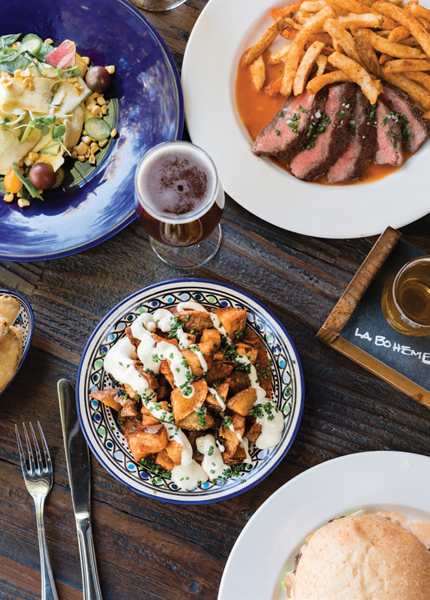 Together with head chef Jason Azevedo, the owners devised an appealing menu of small plates and entrees with a Spain-meets-Sacramento sensibility. Sharable dishes like papas bravas, Catalonian eggplant, clams and chorizo, and gambas al ajillo (garlic shrimp) pair nicely with the house beers, which Azevedo describes as “not overly hopped, with a nice grain-and-malt balance and a lot of character.” The seasonal menu allows Azevedo, who founded Testa Duro Salumi, to show off his talents in the charcuterie department. The porchetta in the PLT sandwich is made in house, as are the chorizo and lamb sausage. Still, vegetarians will find much to love on a menu that is refreshingly vegetable-forward for a brewpub. And two crowd favorites—fried dill pickles, or frickles, which are accompanied by a caper aioli, and fish tacos, made with rockfish dipped in a Pilsner batter—are hardly Spanish staples, but Azevedo is happy to oblige customers.